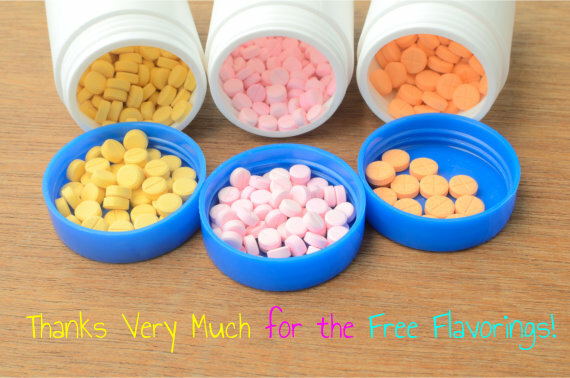 Let’s not underestimate the benefit of flavorings for the medicines. They may not worth that much. In fact, they are given for free here at our drugstore Well Future Pharmacy, the expert source of medication compounding in Michigan Avenue Chicago Illinois. But medicine flavorings can prove to be a big difference between a successful intake and a failed attempt. Children are not the only ones that can benefit from this service. There are also adults who swear by the tastes of some medications that, like little kids, they would pretend to take the medicine and spew it the moment the attending nurse turns her back. But at Well Future Pharmacy, children are the main reason we offer free medication flavoring for any liquid medications along with medication compounding in Michigan Ave., Chicago Illinois. When medications taste better, children are more likely to be compliant with their prescribed therapy. No more quarrels with moms, dads or the nannies! Next time a kid in the family gets prescribed a medication, especially one with a strong odor and unpleasant taste, you know where to go. The trusted provider of medication compounding in Michigan Avenue Chicago Illinois will be too willing to accommodate your requests for free flavorings. On top of the personalized medication compounding and free flavorings, we also offer consulting and well-being services. Stop in and we’ll be happy to offer you both personalized service and friendly pharmacists to meet all your needs. Our store is conveniently located in 1442 S. Michigan Avenue, Chicago, Illinois 60605. For your convenience, we maintain a phone line with number 312-589-7620 and a fax line bearing the number 312-589-7621. We invite you to check on our website www.wellfuturepharmacy.com to know more about our company, our products, our services and the people behind the business. We are open on weekdays from 9:30am to 7:00pm. Our store is closed on weekends. Those who have kids may find our topic amusing and interesting. Please share your experiences, views and comments on it in the space right after this blog.